Guilt-racked kidnap kingpin, Chukwudumeme Onwuamadike, a.k.a Evans, yesterday made a U-turn as he entered a plea of `not guilty’ as he was re-arraigned on a two-count amended charge of conspiracy and kidnapping at an Ikeja High Court. The government had on August 30,2017 arraigned Evans alongside Uche Amadi, Ogechi Uchechukwu, Okwuchukwu Nwachukwu, Chilaka Ifeanyi and Victor Aduba before Justice Hakeem Oshodi of an Ikeja High Court, where three of them pleaded guilty, except Uchechukwu, the only female defendant, Ifeanyi and Aduba who pleaded not guilty. 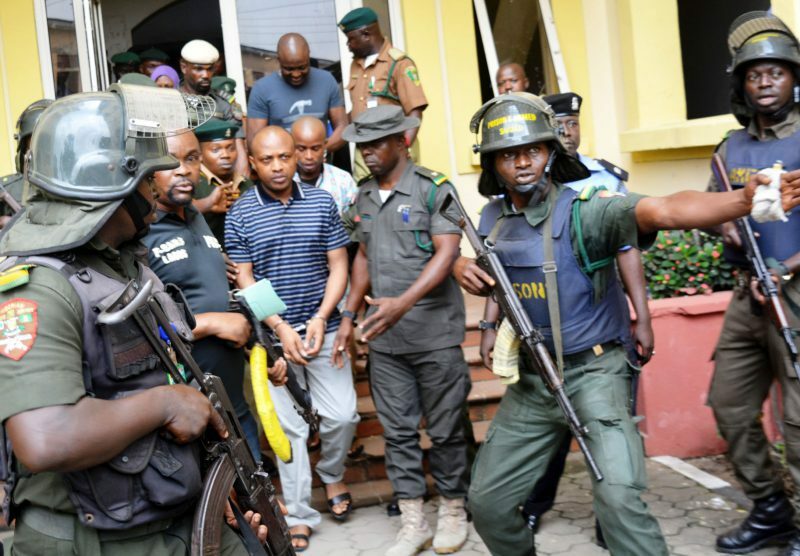 The prosecution had accused Evans and his accomplices of committing the offence of conspiracy and kidnapping of one Duru Donatius at about 7.45pm on February 14 on Obokun Street, Ilupeju, Lagos. The prosecution said the defendants "between February 14 and April 12 on Obokun Street, Ilupeju, while armed with guns and other dangerous weapons, captured and detained Mr Duru Donatius." The defendants were also accused of collecting a ransom of 223,000 euros before Donatius could be released. However there was a mild drama while the prosecution was being re-arraigned on an amended charge yesterday, Evans and co-defendants changed their plea. In the amended charge, the defendants, who were remanded in prison by the court after the earlier arraignment are still facing a two-count charge offence bordering on conspiracy and kidnapping. The defendants who were earlier charged under Sections 411 and 271(3) Criminal Law Cap C17 Laws of Lagos State 2015 are now being charged Section 2(1) of the Kidnapping Prohibition Law, No 13, Laws of Lagos State 2017. Unlike the State Criminal Law 2015 which prescribed 21 years for convicts, the Kidnapping Prohibition Law, No 13, Laws of Lagos State 2017 prescribed death sentence if victims die in the custody of kidnappers. At yesterday's proceedings, the prosecution led by the Director, Directorate of Public Prosecution (DPP), Titilayo Shitta-Bey informed the court that they have filed an amended charge against the defendants and served their counsels, adding that they were ready to commence trial. But the defence counsel, Messrs Olukoya Ogungbeje, Joseph Otogblu and A.A. Ozogbu opposed the prosecution saying that the prosecution served them the amended charge only yesterday morning in court. Except for Mr. Olanrewaju Ajanaku, counsel for 4th defendant, other defence counsel prayed the court for adjournment to enable them confer with their clients and response to the amended charge. The defence counsel also told the court that they all have different applications pending before court which they argued will be overtaken by events if trial should commence. Responding, Shitta-Bey opposed the defence and urged the court to allow the charges to be read and for the defendants to take their fresh plea. The DPP argued that there was no material change in the nature of the charge against the defendants. Justice Oshodi in his short ruling, screened the various pending applications of defence and all struck out. After this, all the defence counsel urged the court for adjournment to enable them respond to the amended charge just served on them. Justice Oshodi, citing section 36 of the Constitution granted their prayer and adjourned the matter till November 3 for trial. Meantime, to avoid unpleasant surprises, security operatives led by the Lagos State Commissioner of Police, Mr Imohimi Edgar, yesterday bombarded the premises of the Ikeja High Court, venue of the trial. As early as 6:30am, roads leading to the Ikeja High Court, where the trial was to hold was manned by heavily armed police men. Soldiers, drawn from the Rapid Respond Squad, RRS, the police anti bomb squad and armed guard of the prisons were on ground monitoring movement of passers by, to forestall a repeat of what happened during the trial of a notorious armed robber, 'Vampire' who escape in court in Imo State earlier in the year. The security operatives who were armed to the teeth also had sniffer dogs, horses as well as armoured vehicles to ensure water tight security both around the court premises and the adjoining roads. The roads leading to the popular Oba Akinjobi road, Ikeja GRA were thoroughly monitored to the extent that no vehicle was allowed to drop passengers. The commissioner of the police who was personally on ground to monitor security at the venue was seen discussing and given instructions to his operatives, while those coming into the court were screened before been allowed into the premises. In some instances, it took the intervention of the Registrar of the court to allow some officials and even newsmen entry into the court room. Everyone without means of identification were prevented from the court premises, which made some people to gather outside the court's fence to view happenings from a distance. An interview with an operative who preferred anonymity, revealed that the government and the security operative were not ready to take chances to avoid a repeat of what happened during 'Vampire' trial. When leading the accused into the court room, photo journalists had hectic time taking photographs of the defendants, as they were guided strictly by the officials. The situation was same when they were being returned to custody. 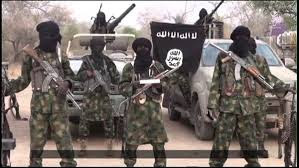 It was also gathered that there were officials of the Department of the State Security , DSS, to monitor comments of individuals, to avoid any unpleasant situation. However, the court room proceedings were not without its own dramas as lawyers representing the accused persons took different positions on their arraignment and taking of their plea.